^ "Buenos Aires mayor favored in Argentina's presidential election". latimes.com. Retrieved 23 November 2015. 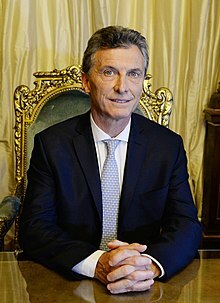 Wikimedia Commons has media related to Presidents of Argentina. This page was last edited on 12 April 2019, at 16:15 (UTC).